SYRACUSE – ARISE oversees an advocacy program known as the Long-Term Care Ombudsman program in Onondaga, Cortland, Oswego, and Cayuga counties, which encompasses Region 10. Pictured first row from left are: Carolyn Kunz, Nancy Brower, Shirley Costanzo, Lynn Garlipp and Cathy Fedrizzi. Second row from left are: Jeff Parker (Regional Ombudsman Coordinator), Adrian Ames, Jim Oldenburg and Stephanie Montero (Long-Tern Care Ombudsman Coordinator). 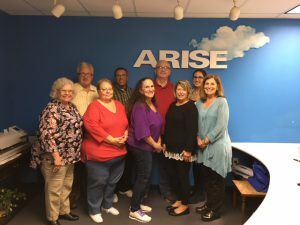 On November 2, ARISE completed training with seven new volunteers. The purpose of the Long-Term Care Ombudsman Program is to protect the health, safety, welfare, and civil rights of people living in nursing homes and adult care facilities. Certified Ombudsmen in the program advocate for residents’ rights and ensure that their complaints are resolved to support a higher quality of life. 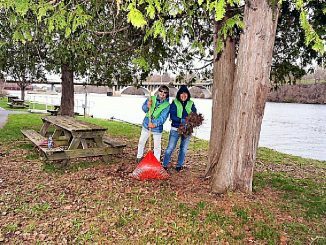 Long-Term Care Ombudsmen are trained and certified volunteer advocates who are passionate about the well-being of people living in nursing homes or adult care facilities. They can help resolve complaints, provide information about resident rights, and advocate on behalf of residents for high standards of quality care.